A Palestinian medical team arrived to the destroyed city of Portoviejo last week to help treat the victims of a deadly earthquake that hit Ecuador on April 16. 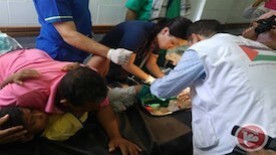 The team provided medical treatment, including surgeries, the Palestinian Ministry of Health said in a statement Monday. 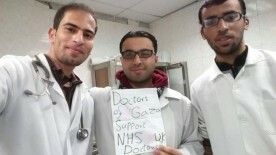 When junior doctors in England went on strike, photographs of support spread on social media from celebrities, members of the public, their pets - and doctors from Gaza. While images of Martin Freeman, Noel Edmonds and a rather large cat might have caught many people's eye, images of three young men in white coats in a Middle Eastern hospital stood out. 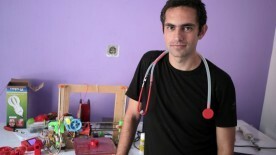 A Palestinian-Canadian doctor has created a low-cost stethoscope using a 3-D printer, the first in a series of inventions he hopes will help alleviate medical supply shortages caused by an eight-year blockade on the Gaza Strip. Dr. Tarek Loubani says his stethoscope can be made for just $2.50 — a fraction of the cost of leading brands -- and some doctors say the equipment is just as good. 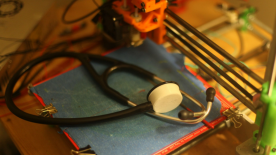 A physician working in the Gaza Strip has invented a 3-D printed stethoscope which he claims is better than the top stethoscope on the market while costing only 30 cents to make. The stethoscope's design was published on Friday and is available for free. It can be used to print the device by anyone with a 3-D printer, Tarek Loubani, a Canadian of Palestinian descent, said. 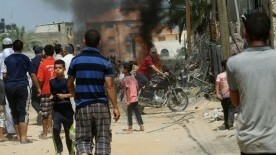 At least four Palestinians were killed on Thursday and over 30 injured when an unexploded ordnance from last summer's Israeli military offensive went off while clearing rubble from a destroyed house in the southern Gaza Strip, medics said. 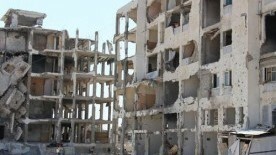 Palestinian medical sources at the Abu Yousif al-Najjar hospital in Rafah said four bodies and multiple wounded Palestinians arrived at the emergency room. Dr. Laila Al-Marayati is a former Presidential appointee and Director of Women's Health at a large community health center in California. Born in 1962 and raised in a Palestinian family in Los Angeles, she ran her own gynecological practice for 11 years after earning her medical degree from UC-Irvine and receiving specialty training in gynecology at Los Angeles County USC Women's Hospital. 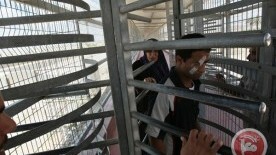 Israeli forces on Friday afternoon detained a young Palestinian man from the Gaza Strip as he tried to pass through Erez crossing near Beit Hanoun in the northern Gaza strip. Ibrahim al-Shaer, 20, was attempting to travel to the West Bank for medical treatment when Israeli forces stopped him and took him into custody, Palestinian sources and family relatives told Ma’an. He was taken to an unknown destination. A year after the 51-day war in Gaza, hundreds of Palestinians with devastating injuries from the Israeli assault still fill the waiting rooms of Médecins Sans Frontières (MSF) in need of complex reconstructive surgeries and physical rehabilitation. 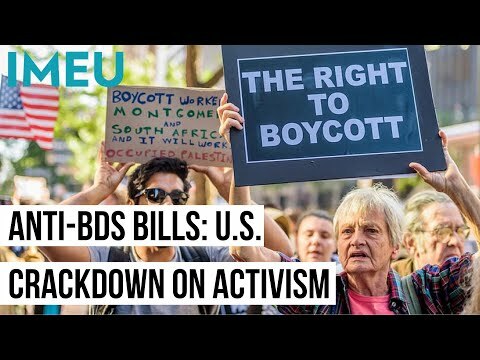 With the continued blockade and siege of Gaza, it is as if the latest of round of Israeli-Palestinian bloodshed had just ended.